Baile da U.G. @ Comuna (Botafogo) – UjimaGang are a collective of young creative minds who met in Niterói. A year ago they started to independently produce parties, musical research, and visual arts, including photos, videos and music clips. 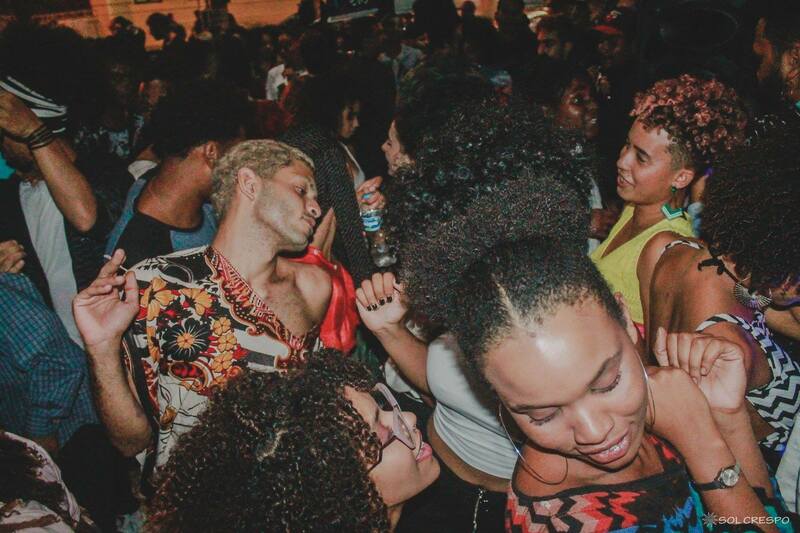 This Friday, they will be taking over the stylish Comuna space in Rio’s trendy Botafogo. They describe themselves as “Young blacks, the new generation, a revolution made in practice, creating a space of appreciation of contemporary black culture and aesthetics”. The master of ceremonies for the evening will be JOCA, with DJ sets from Mabru, Daviu, Ciana, Drei and Jacquelone, plus a ‘pocket show’ from UjimaGang. This evening is free entry and begins at 7PM. Forró de Bamba @ Clube dos Democráticos (Lapa) – Forró de Bamba receives the quintet Estopim, one of the great representatives of the traditional up-tempo genre of Brazilian music, forró. 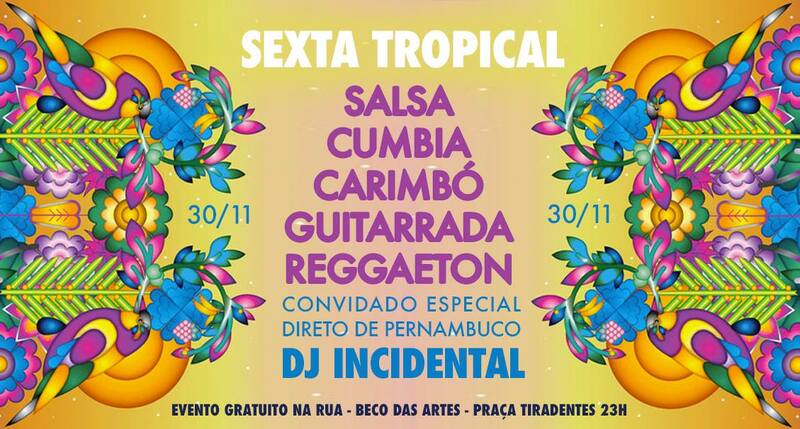 There will also be music from DJ Marcio in the intervals to keep the crowd on their feet. 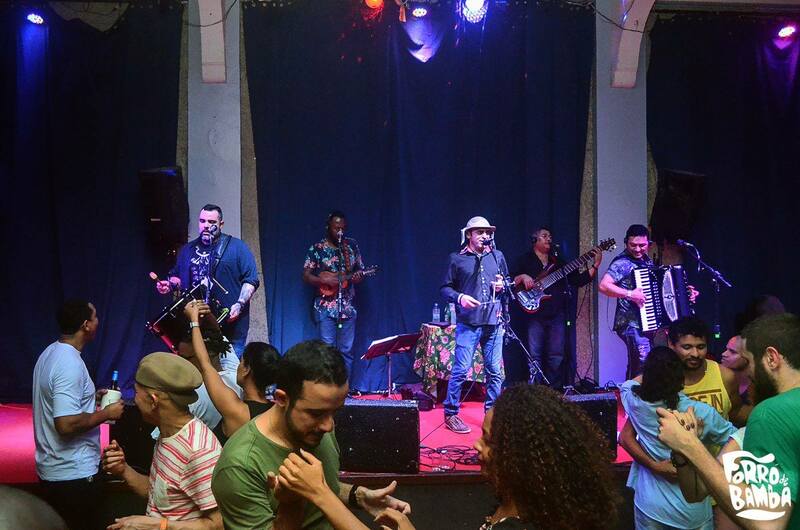 Created in 2012, Forró de Bamba has since received the best forró shows in Brazil and always happens on Fridays at Clube dos Democráticos, considered by many to be the best dance floor in Rio! 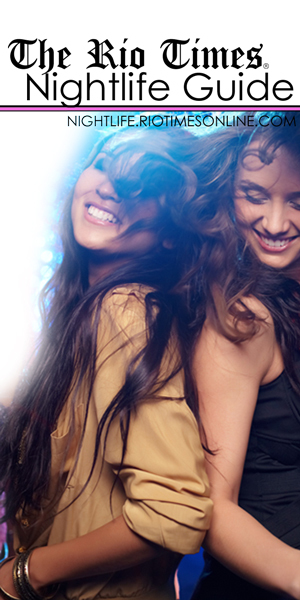 Tickets are between R$15-R$25 and the evening usually gets going around 10PM. 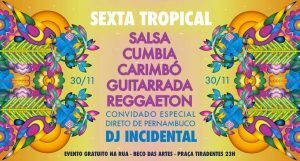 Sexta Tropical @ Bar do Nanam (Centro) – This is a Tropical Friday filled with plenty of music from the Latinsphere and Caribbean, including carimbó, cumbia, salsa and reggaeton. The line-up for the evening will include DJ Incidental and DJ HanDom. These DJ sets will include some live instruments and vocals mixed in to the beats, with loops and live sampling and much more! 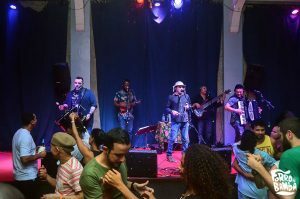 This event is free but participants are encouraged to purchase their drinks from the host, Bar do Nanam, and also to contribute to the musician’s hat that will be passed around from time to time. The evening should get started at around 11PM.